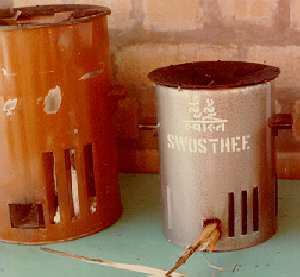 It is explored how programmes for introducing (improved) woodstoves can bejustified in terms of greenhouse gas reduction at competitive cost. The discussion is put in the context of real life observations in Asia and alternative justifications for stove programmes. A few options for putting stoves on the international 'carbon market' are briefly analysed. Tentative results show that a stove project could well result in reduction of CO2 emission at a cost of less than 2 US$/ton.